Is Nest Protect Worth It? In an attempt to stop the deafening repetition, the smoke detector on the ceiling outside my son’s room was incorrectly identified as the culprit. And let me simply say… in all the confusion, ‘someone’ broke the smoke detector away from its plastic circular mount. When it became clear that the wounded disc wasn’t the correct target, the CO detector’s horn was properly identified as the disruptor. What’s a family to do when good home tech goes bad, threatening your child’s night-time rituals on the way to bed? The next morning, as soon as my four-year-old son woke up, he ran downstairs to tell me what had happened. It was banished to the garage. Of course, my wife had already relayed the ‘incident’ to me the night before. And how did I feel about all of this? I should have been sad. The essential order of my little kingdom compromised by a bad battery. I had been waiting for this particular moment for life to throw a few lemons at me. Looking for a reason to replace this smoke detector that had actually been taunting me for years. But a typical battery-driven smoke detector rarely stops working. Sometimes, it just annoys you… till you find a reason to throw it away. Now I had my excuse. An excuse to buy a Nest Protect. Nest Protect is a relatively expensive smoke and CO detector and alarm created by the makers of the Nest Learning Thermostat. But this $99 smart device is exceptionally cool! You can purchase either a long-life, battery-powered unit or the wired 120V version, which also uses batteries for back up. That means it can communicate with the Nest Thermostat in your home. If there’s a CO problem, the Nest Thermostat will automatically turn off your furnace. And Nest Protect senses your presence, which improves the Auto-Away feature of the Nest Thermostat. Sometimes mine forgets I’m home when I’m typing away in my office. Nest Protect talks to you in lieu of those vague chirps and explains if there’s smoke or carbon monoxide present and which room the problem exists in. It also uses circular color cues on its face to communicate. It momentarily glows green when you turn your lights out at night, indicating all is well. Nest Protect lights your way at night by glowing white as you walk by it. You can keep track of it from anywhere with the Nest Mobile app, and it will send your smartphone a message if there’s a problem. 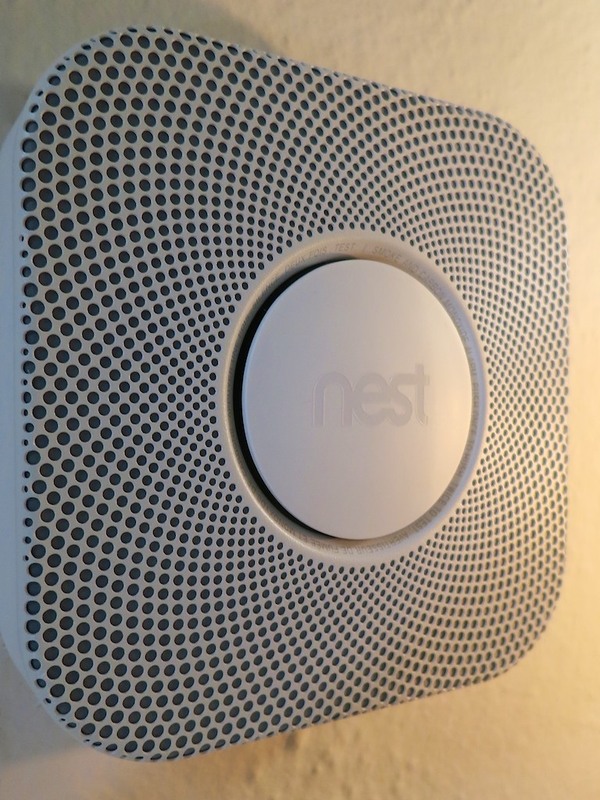 Did I mention that $99 is rather expensive, regardless how cutting-edge Nest Protect is? By comparison, Kidde makes a $33 device that senses both smoke and CO. But Nest Protect does buy you a whole new level of connection. A year and a half ago, you may recall I purchased my Nest Learning Thermostat. I hurried over to Best Buy and eagerly brought my new Nest Protect home. Installing it was a snap! 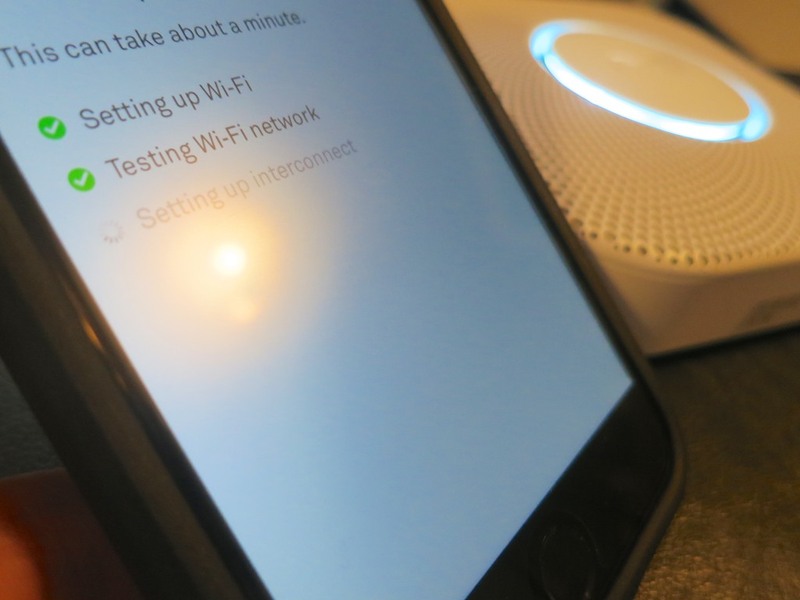 You can only set up your Nest Protect with an iPhone, iPad or Android device. You’ll first need to download the free Nest Mobile app. 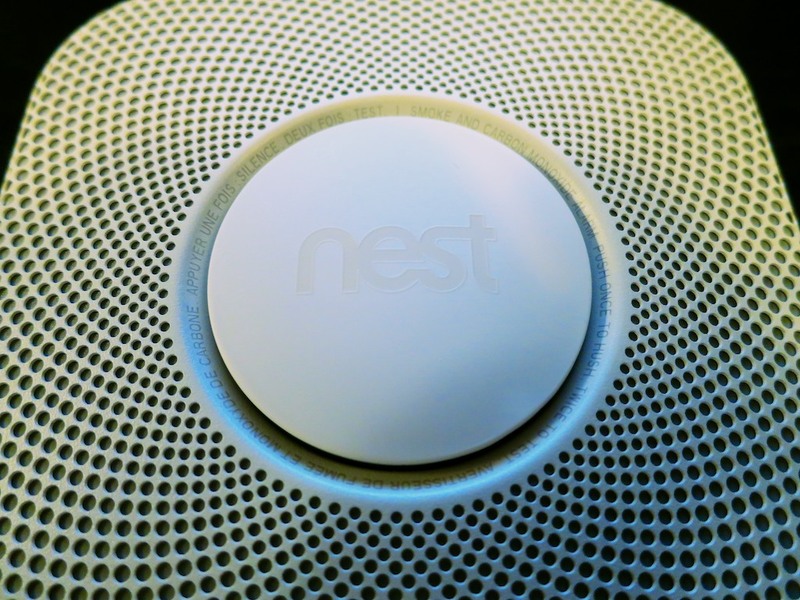 You’ll be scanning the QR code on the back of the Nest with your phone. And then temporarily connecting the two together via Wi-Fi. Finally, you’ll be connecting the Nest Connect to your home’s Wi-Fi network. I was done with the activation process in five minutes. The installation on my upstairs ceiling simply involved unscrewing my old smoke detector’s mounting plate and screwing in the Nest’s mount. In the small print at the end of the manual, which you don’t need to read, you’ll discover that Nest Protect only lasts for seven years. Much like a “Blade Runner” replicant, this particular tech will self terminate. Maybe, I’ll set myself a calendar reminder for 2022. 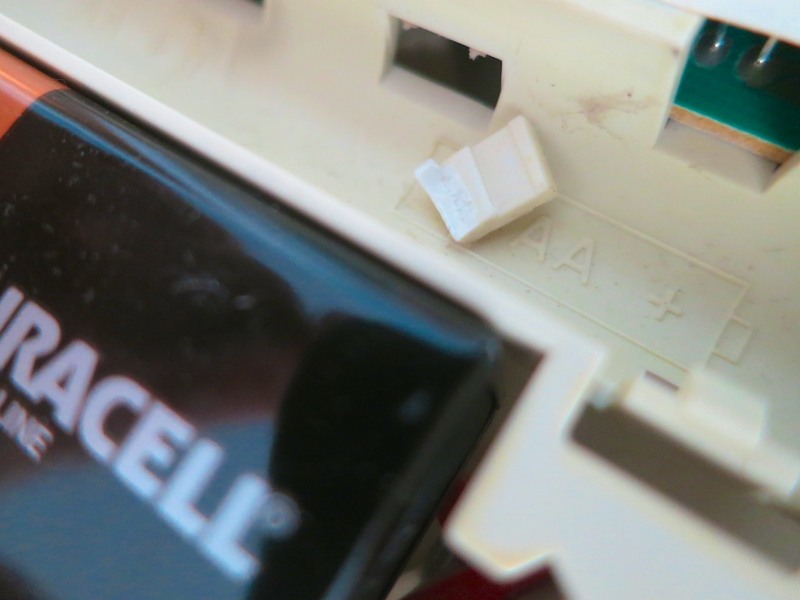 A 9-volt battery goes south. And the next day, I buy a Nest Protect. I know… it doesn’t make complete sense. But I was looking for an excuse to try out a Nest Protect, and I found it. That said, I’ve got several other old-school smoke detectors around the house, and now, I’ll need to consider whether I should continue with my Nest Protect upgrade program. I’d like to think my home is a bit safer. And isn’t that what living at home with tech should be all about?